Create a fun piece of art using you and your family’s handprints. This canvas art makes a lovely keepsake. Use a black pen to draw a line down the centre of the canvas, and another line across the middle, splitting the canvas into four equal sections. 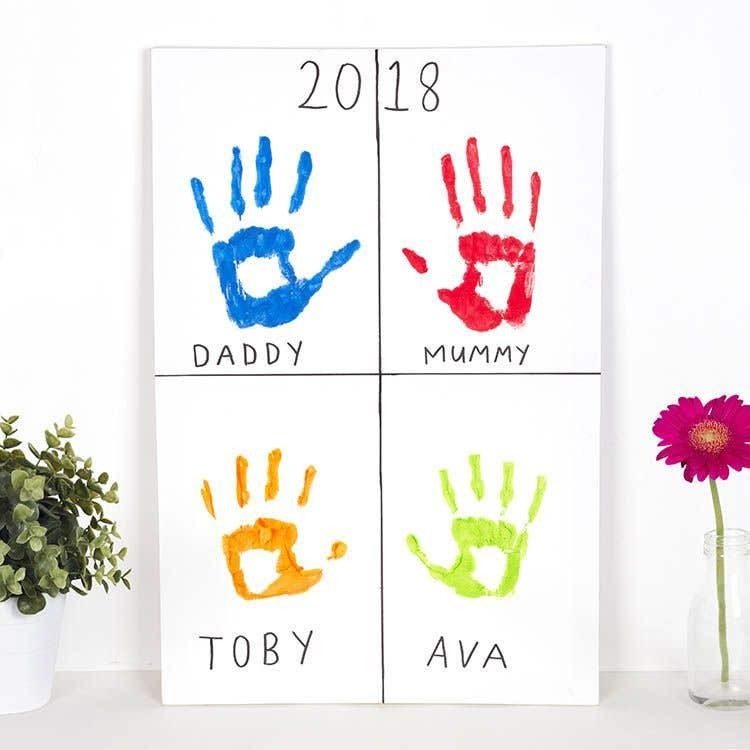 Cover your hand in a brightly coloured shade of paint and print your handprint onto one of the sections. Repeat step two with the other members of the family to fill all of the sections of the canvas. 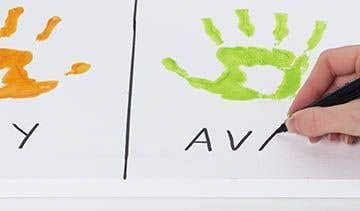 Use a black pen to write each person's name underneath their handprint. 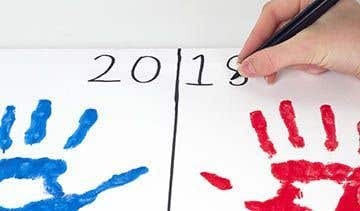 Write the year at the top of the large canvas using a black pen. Make sure you cover your hand with lots of paint, otherwise the handprint wont be clear.